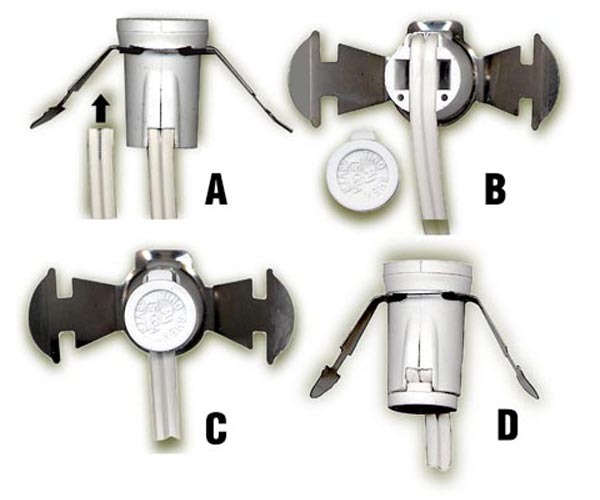 LAMP SOCKETS - QUICK-CONNECT and IN-LINE with Candelabra Base for Creating Custom Lighting Applications and Solutions. IMPORTANT: Attach QUICK CONNECT Socket To Cord Sets that have FULLY TINNED Ends. Cut Exposed Wire from 3/8" to 1/2" Long Maximum. hammer to lock it in place. 1) Cut wire flush w/insulation. Split cord approx. 3/8" & push into slots on side of socket. 2) Bend wire & press into groove so prongs pierce insulation. 3) Put cap on. Gently tap w/hammer to lock in place. 1 5 10 20 50 100 Qty. Quick Connect Lamp Socket. 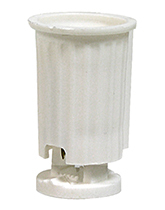 Use this candelabra style socket only with lamp cords that have FULLY TINNED stripped ends. 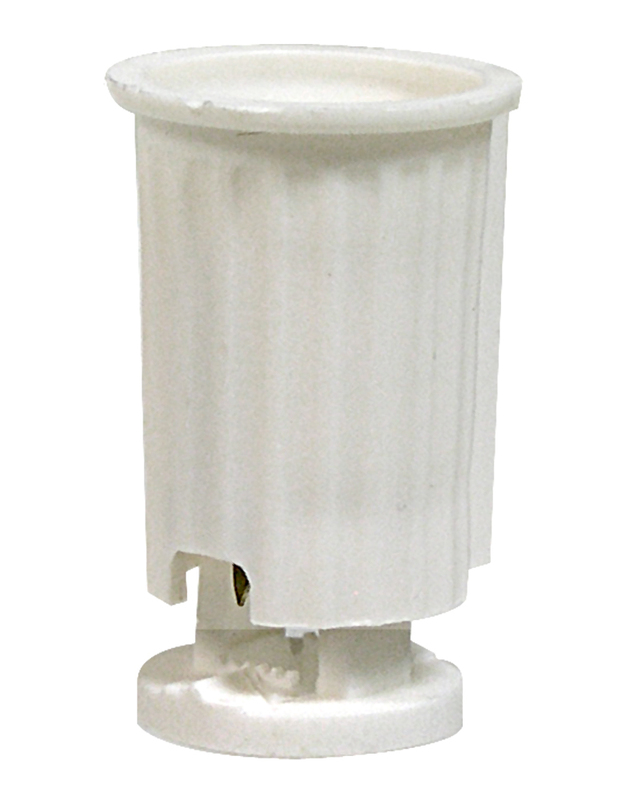 Quick Connect Candelabra Lamp Socket. Place anywhere on your SPT-1 lamp cord. 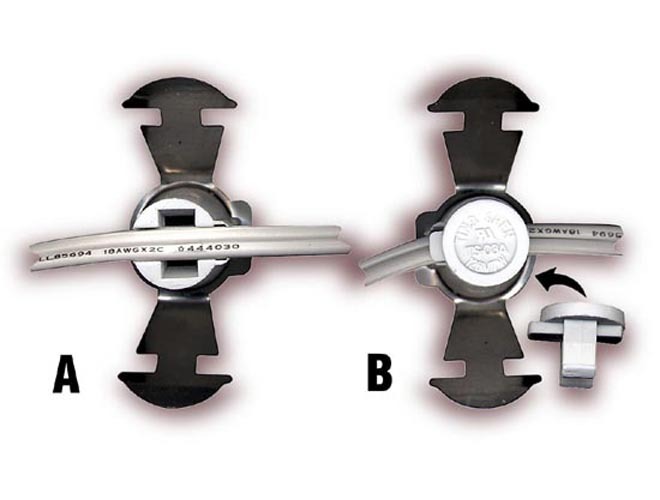 Metal mounting clip snaps into 1-1/8" openings. 7W max. For indoor use only. 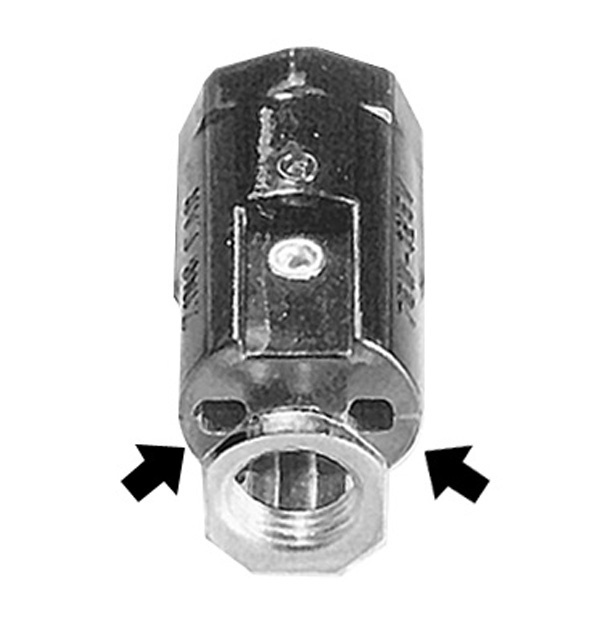 Quick Connect Candelabra Lamp Socket. Place anywhere on your SPT-1 lamp cord. Press-fits into 3/4" openings. Use 7W max. For indoor use only. 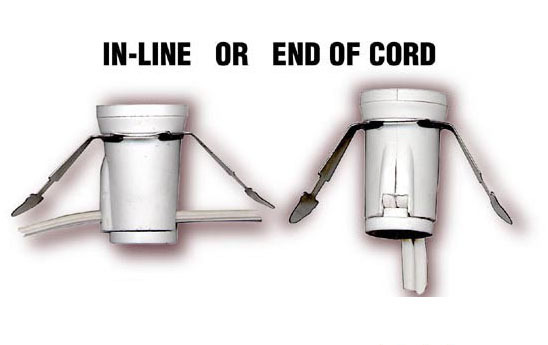 Recommended Lamp Cord with FULLY TINNED Ends w/o On-Off Switch: 113-125-04, 113-126-03 and 201-210-09. 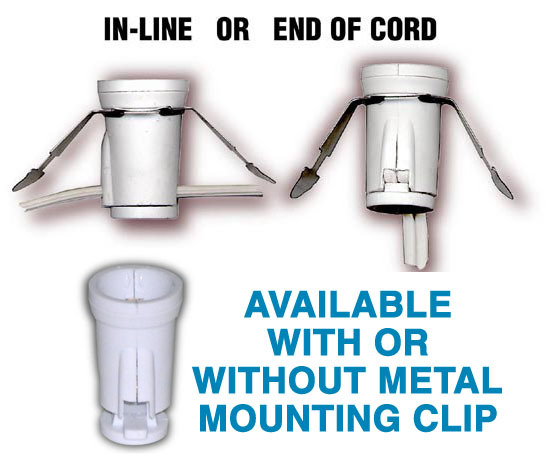 Recommended Lamp Cord with FULLY TINNED Ends and On-Off Switch: 113-130-09, 113-131-08, 147-020-09 and 147-021-08.